-Pour melted butter into an 8in square pan. Mix flour, sugar, baking powder, salt, milk, vanilla and cinnamon. Add to melted butter (DO NOT STIR). 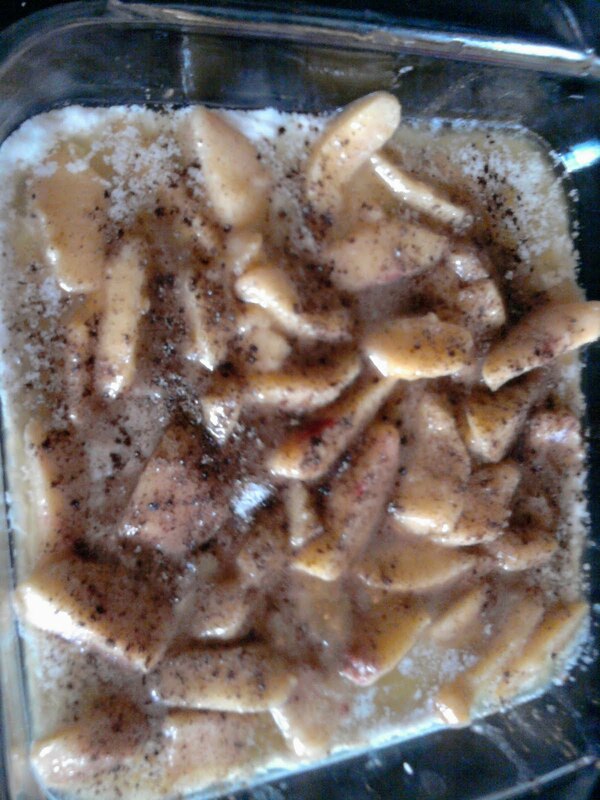 Place peaches evenly over batter; sprinkle with a bit of extra sugar and cinnamon. Bake at 350 deg for 1 hour or until golden brown. Serve warm with a scoop of ice cream or whip cream! *also, if peaches are not in season, just use a large can of peaches and drain the juice b4 any use.